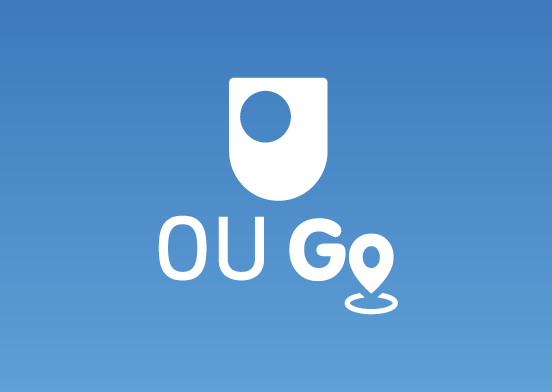 OU Go has been developed for staff and visitors to locate the various campus buildings, car and cycle parking and outdoor artwork on the go. The app is designed in the Pokemon Go theme which adds some fun whilst seeking a building location and updates the users location in real time to make it easy to find the desired destination. Along with providing users with a selection of character (avatar) choices the app displays campus in 3D allowing the user to select the building or event they seek which is then clearly displayed by a rotating OU shield or calendar icon . By switching on outdoor art, car parking and cycle parking the map will display icons that are interactive to touch and display details about the selected area of interest. Currently the events data is entered manually but this will be automated in due course.